This is the perfect breakfast! In my opinion, baked eggs are really special. 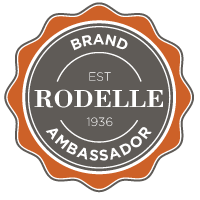 It’s something about the texture of the whites–they turn into a perfectly smooth, savory custard. 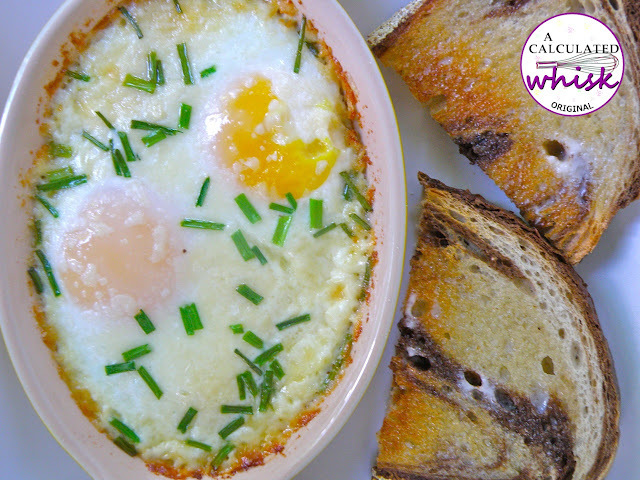 With a rich parmesan crust and a sprinkling of chives, these baked eggs are the best I’ve ever had. 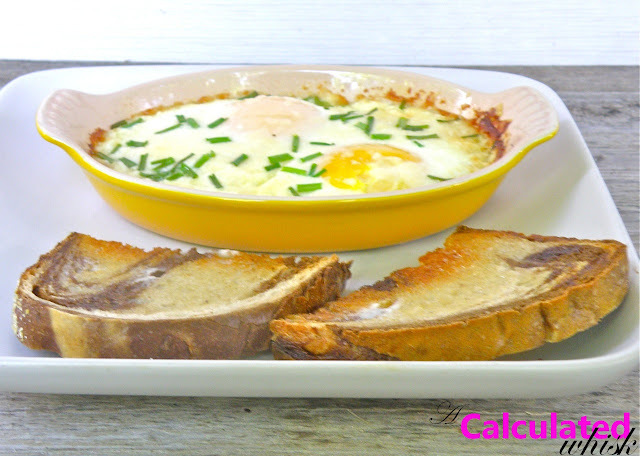 If you’ve never tried baked eggs, go fire up your oven! I promise you won’t regret it. Preheat the oven to 350. Place a half teaspoon of butter in the bottom of an individual ramekin, and place it in the oven to melt the butter. When the butter is melted, remove the ramekin from the oven. Add a splash of cream. 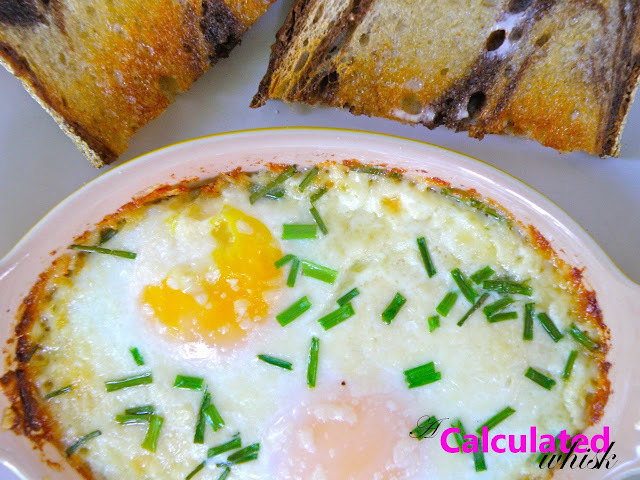 Add the eggs, being careful not to break the yolks. Sprinkle the salt, parmesan, and chives on top. 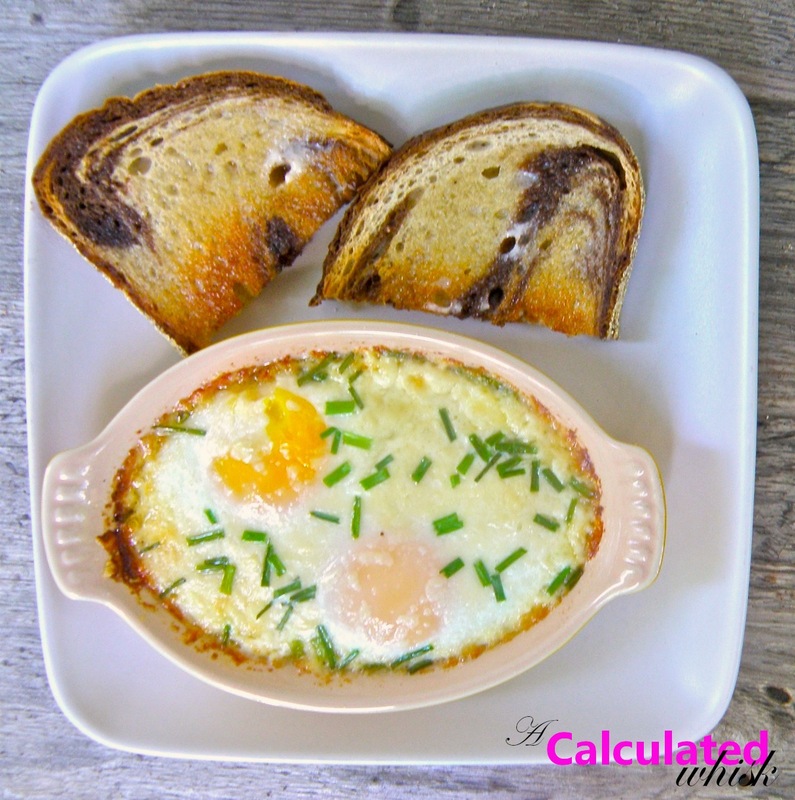 Return the ramekin to the oven and bake for 12 minutes, or until the whites are just almost set (the eggs will continue to cook a little after they come out of the oven). The yolks will still be runny. Serve hot with buttered toast.